We’ve all probably heard a meet-cute story or two that happened in a grocer, but did you know you can now level up that serendipitous encounter with a gourmet meal and craft beverage, all without leaving the space? 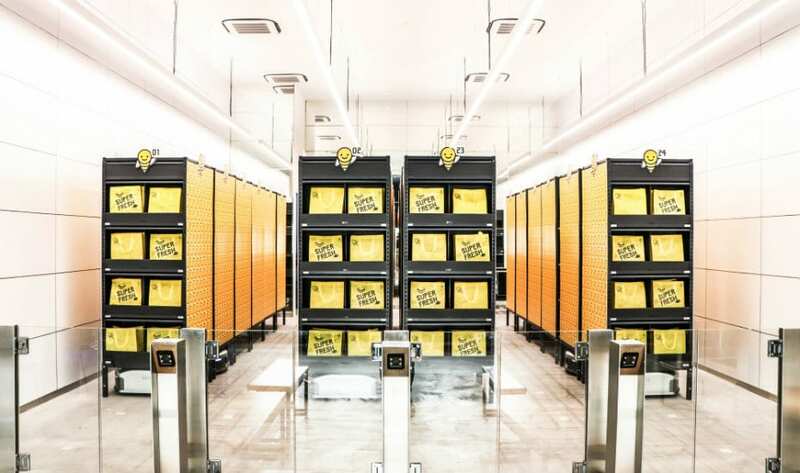 habitat by honestbee is the hottest new multi-sensory concept to emerge from a 60,000 sq ft warehouse at Boon Leat Terrace and it’s the world’s first tech-integrated, experiential grocer and dining concept to hit town. A grocer combining food and beverage experiences may sound a tad familiar to you, but what makes this ‘wonderland’ different is its focus on innovative retail technology in a smorgasbord of food and groceries, all under one roof. Gone are the days where you’d be groaning at the thought of joining a never-ending queue. Here, you’ll be powering through checkout with a cashless payment experience and a fully automated robotic collection point. All you need is the honestbee app and you can make transactions with its digital wallet. Those purchasing 10 items or less have the option of skipping the checkout line with the Scan & Go function on the app. Carting a truckload of groceries? Just send your trolleys off at the Checkout Point and make your way to the Collection Point to pick up your bags in five minutes. Easy! Psst… Want to stick around for the full experience without the hassle of carrying your groceries? With Scan & Go, you can make your purchase and collect your items when it’s convenient. While you’re at it, don’t forget to bring your own tote bags. This food marketplace is anything but basic – think over 20,000 Asian and international products, fresh produce and 15 dining concepts all under one roof. It’s where you’ll find farm-to-table produce from established suppliers and farmers, with an emphasis on freshness and exclusivity. 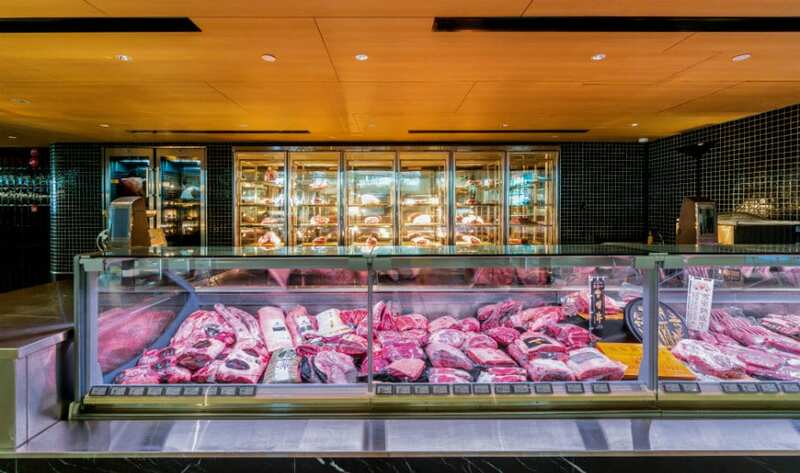 It also stocks the largest variety of truffle products and a mind-blowing selection of wagyu and aged meat from the butchery. Along with a seafood section that specialises in locally-caught fish and a florist, we reckon it’s the one-stop for a fancy dinner party at home. While you’re ticking off your grocery list, don’t forget to stop by Bodega, a curated corner showcasing designer finds, cool collaborations and contemporary art. Some highlights to expect include pop-ups featuring quirky knick-knacks that you might just sneak into your basket. There’s more: it’s not just about groceries here — there are pantry and bath essentials that you can order from the app and pick up on the same day. Psst… Sample freshly shucked oysters at the seafood bar… at $1.90 per oyster, we say it’s a pretty awesome deal! 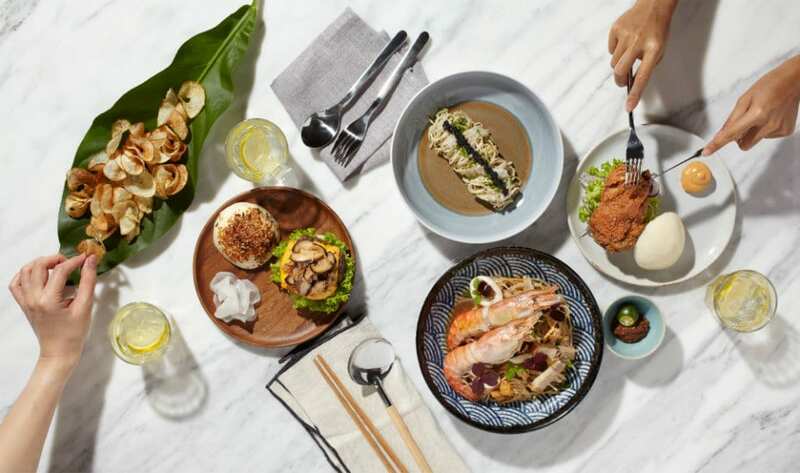 For those who live to eat (don’t we all), habitat by honestbee houses a diverse variety of food and beverage partners serving up gourmet fare. Got a sweet tooth? 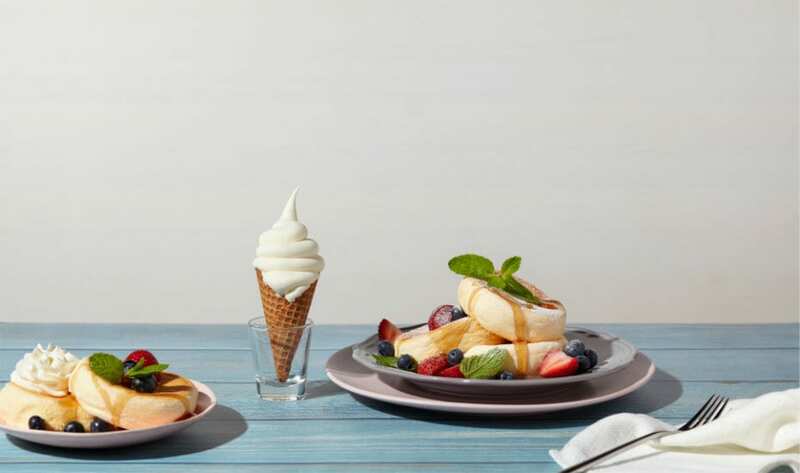 Then satisfy that craving with soft serve ice cream and soufflé pancakes by Poofy, a collaboration with Tokyo pancake cafe Riz Labo Kitchen. Moss is a resto-worthy space where you can start your meal with ‘Snacks + Larder’, comprising preserves like chicken chicharron and pork ear fries, and The Deli’s collaboration with local restaurant Char offers tender, Cantonese-inspired roast duck infused with jasmine tea for a subtle floral aroma. Wash it all down with a refreshing kombucha drink from Mr Bubbles – look out for creations made with Calpis and gula melaka. There’s the option to make an order in advance via the app before arriving too, so you can pick up a piping hot meal once you step in. Did we also mention that they keep a mean collection of wines and spirits ‘hidden’ in a cavernous, cellar-like enclave? With a selection of up to 300 labels from premium craft and boutique names such as That Boutique-y Whisky Company and Cadenhead’s, there’s definitely something for both casual drinkers and connoisseurs alike. You could also make like Don Draper and indulge in tastings and scent explorations. Psst… You should definitely make time for a meal at Campfire, where you can drop off fresh cuts of meat, such as Tajima wagyu and chocolate-fed wagyu from the butchery, and watch as your meal gets fired up over a robatayaki or Argentinian parrilla grill for an additional $8. Located near the exit, this casual eatery is a great place to end your shopping adventure. Just when you thought you’ve seen it all, they’ve upped the experience with more surprises in store: a mini hydroponics farm where you can grow your own vegetables, a reading nook filled with food, design and local literature books, an in-house artisanal bakery and yes, a craft beer bar. You might also want to bookmark their Facebook page for first dibs on events and workshops. Psst… Bring your best face forward and take plenty of selfies at artworks and murals displayed across the space. habitat by honestbee collaborates with local and regional artists such as Cosmic Chai, Jonathan Jay Lee, Messymsxi and Tell Your Children for works inspired by food and produce. Famed contemporary Chinese artist Zhu Wei also makes an appearance through sculptural pieces and paintings. Who knows? You might even glean some inspo for your next MasterChef cook-off. Mark your calendars… and win! Don’t miss Festival of Fresh, happening from now ‘til 11 November. This supersized celebration has everything from live music performances and food styling workshops to pasta making, scent creation and coffee tasting sessions, together with other family-friendly activities such as face painting and balloon sculpting. For more details, check out habitat.honestbee.sg and follow them on Instagram. Oh, and remember to download the honestbee app for entry.